If you remember the california raisins from the stop motion animation commercials, I found a picture online of what the actual clay models look like now. 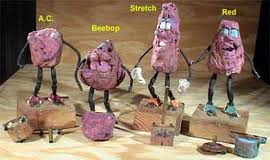 If you have ever animated clay before you will know how frustrating it is to see your beautiful clay models turn from works of art into disgusting lumps of garbage. apparently someone who new someone who worked at will vinton studios found these and couldnt bear to throw thwm away. Its nice to know that professional go through the same crap that amateurs do. 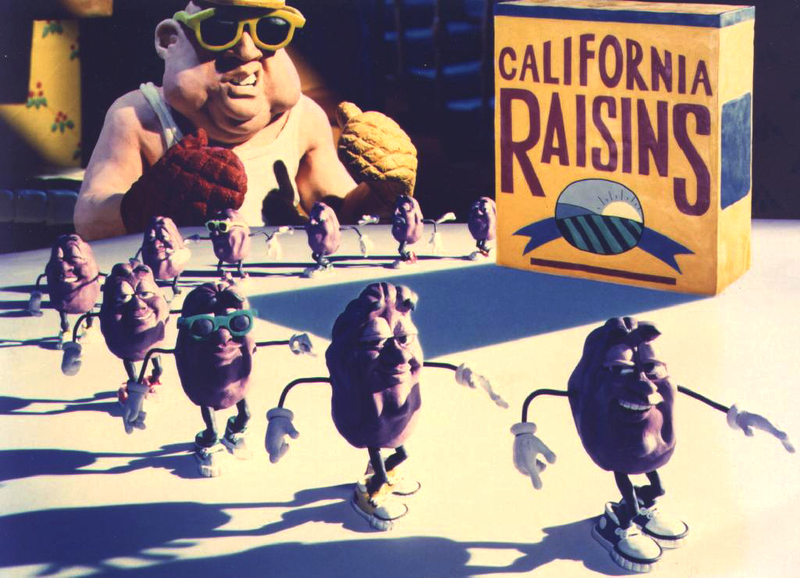 The california raisins puppets as they are now. nice and what a shame.